Virgil Abloh recently shared his follow up to his Spring/Summer 2019 debut with Louis Vuitton that has some Michael Jackson-inspired pieces but what got peoples attention was the way he teased his new Off-White™ collab sneaker with BAPE. 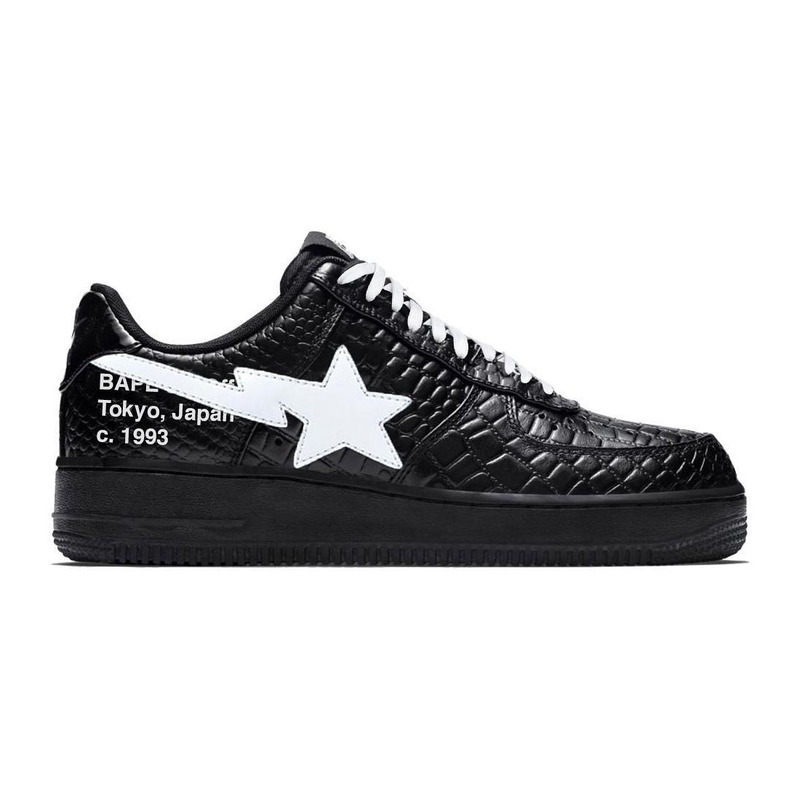 Virgil closed the show by thanking the audience while he was wearing a new pair of sneaks that look like the Off-White™ x Nike Air Force 1 Low “Black.” On this collab we see the black and white sneaker as a BAPE STA Low model that is covered by crocodile/alligator skin. The side is designed with Off-White™’s signature industrial branding and a well-known “SHOELACE” stamp on the white laces. The stamp reads BAPE’s “Tokyo” location and the year of establishment which is 1993.